Been a minute since there was a show at Danzig’s [last one was in mid-February before Cheap Time left for tour] This one’s gonna be pretty killer though. 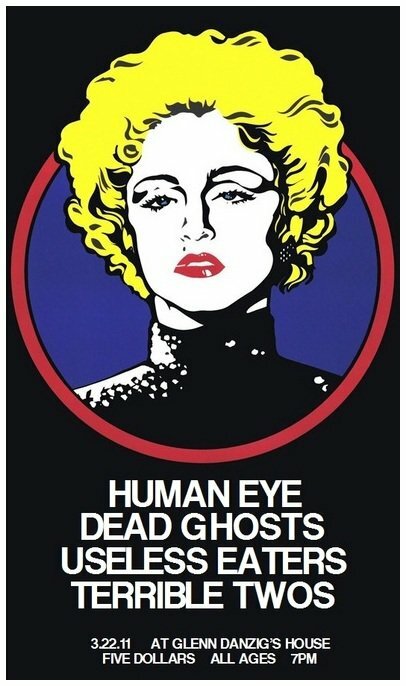 A couple of our favorite Detroitians, Human Eye and Terrible Twos, are rolling through on their ways back from SXSW along with our Canadian brothers, Dead Ghosts. We talked about Human Eye and Timmy Vulgar a bit last week, so hopefully that’s still fresh on you, but it’s been a bit since we talked any Terrible Two-ness. The boys had a new single come out pretty recently from Cass Records that they’ll hopefully have copies of tomorrow night [If they don’t, go ahead and order it here] Get ready to get weird and get wild. It’s gonna be a party.